A dramatic reading of an imaginary correspondence between Victorian poet Elizabeth Barrett Browning (1806-1861) and British Prime Minister Sir Robert Peel (1788-1850). One of a series of mythical correspondences originally printed in Punch, this program was written by Patrick Ryan. The dramatis personae consists of Randa Haines and Mike Hodel. 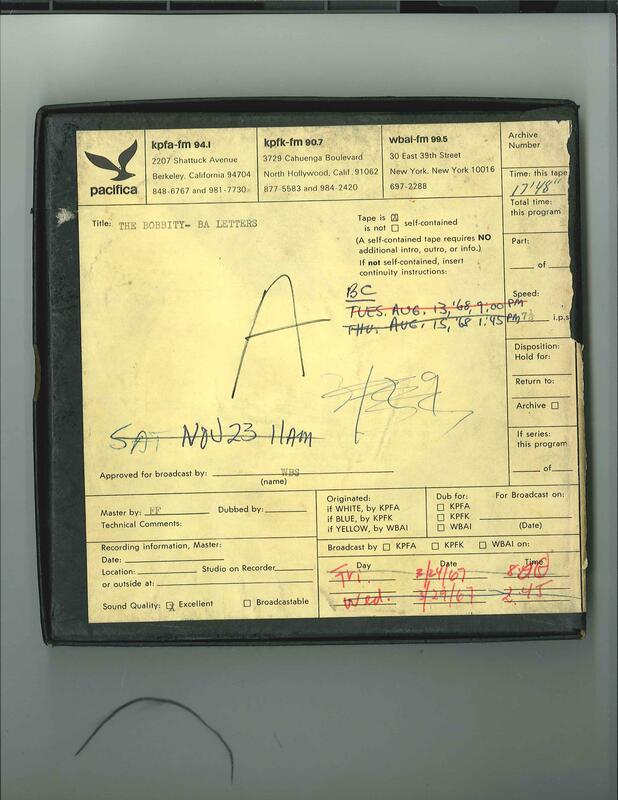 This recording was formerly cataloged as BB3703. 1 reel (18 min.) : 7 1/2 ips, mono.